So any of you that regularly read my blog, will know that I was lucky enough to get my hands on the coveted (and always sold out!) 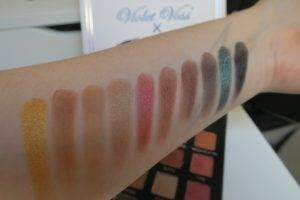 Violet Voss Holygrail Pro eyeshadow palette (blog and swatches here) a few months back and I love it! Full of warm neutrals and shades of rust and red, pretty much me in palette form! Wearable and perfect for this time of year. 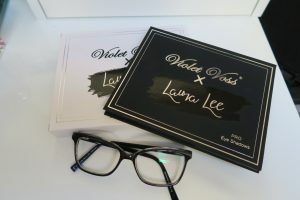 Violet Voss had also released two other pro eyeshadow palettes, the Drenched Metals one and the collaboration with US YouTuber Laura Lee. The Drenched Metals palette, being majority cooler toned, I knew, (even though it is really pretty!) that I wasn’t going to pick it up, it just wouldn’t have been reached for enough. 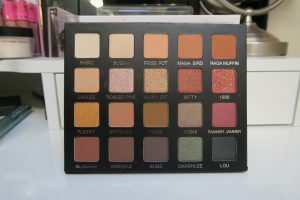 The Laura Lee collab had been on my radar for a while, I’m specifically not a huge fan or anything, I just liked the look of the palette itself and the slightly more unusual for me (yet wearable) selection of shades. So when it became available in the UK and Ireland (Available from Beauty Bay*) this week, I couldn’t help myself and placed an order! 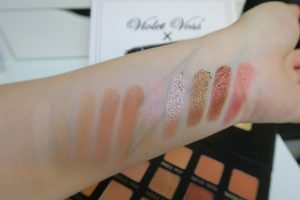 The Violet Voss X Laura Lee palette boasts the same buttery smooth, blendable and velvety textured high quality shadows that I’ve come to expect from Violet Voss. There’s a few of the matte shades, namely Wiskers (rich chocolate brown), Bubs (dark espresso) and Lou (black) that aren’t quite as creamy feeling as those in the Holygrail palette and need a bit more work/ building to get the intensity, but they still do apply nicely. There’s a good balance of matte and metallic finish shades and the palette could easily take you from neutral day time to evening smoky and everywhere in between. This would work well for all eye colours, I think this would be the better option for someone not just wanting exclusively warm shadows too with it being slightly more diverse than the Holygrail. The Violet Voss X Laura Lee eyeshadow palette is available now at Beauty Bay*. Be quick – this one’ll go fast!